The Porsche Driver Pyramid continues to promote winners. 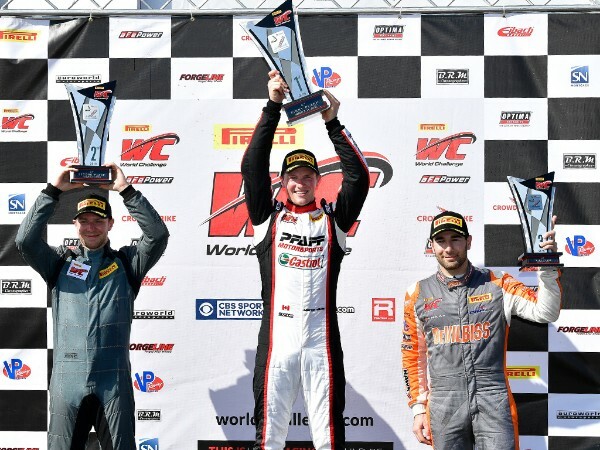 After racing in Porsche one-make support series, Scott Hargrove (Canada) made his Pirelli World Challenge (PWC) debut in convincing fashion at St. Petersburg, Florida driving the No. 96 Pfaff Porsche 911 GT3 R to victory in both of the 50-minute GT features. Porsche factory driver Michael Christensen (Denmark) also made his first start in North America’s premier sprint format GT racing series in the No. 24 Alegra Motorsports Porsche 911 GT3 R. The 2017 Rolex 24 at Daytona-winner finished in fifth-place on Saturday and fourth-place on Sunday afternoon. In the GTS class, Gabriele Piana (Italy) finished in second-place in both GTS class races driving the No. 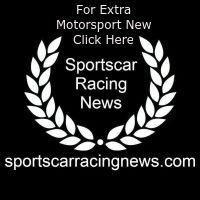 21 Muehlner Motorsports America Porsche Cayman GT4 Clubsport MR.
Hargrove and Pfaff earned the top spot in both races despite an accident in qualifying that negated their quickest lap and forced the team to make lengthy repairs. The Canadian team came within minutes of missing the call to the grid for Saturday’s first round of the Sprint Championship. However, through diligent teamwork and the support of Porsche Motorsport North America technicians and specialists, the two-time (2014, 2017) IMSA Ultra94 Porsche GT3 Cup Challenge Canada by Yokohama Champion not only made it to the grid, but charged to the front to secure his first win in the series. The Porsche Young Driver Academy Graduate also managed to set the fastest lap in Race 1 on Saturday, earning the pole position for Sunday’s feature. Hargrove held the lead in Race 2 throughout, taking the checkered flag early when a heavy accident brought a close to the opening weekend under red flag conditions. Piana’s back-to-back podium finishes were the highlight of the GTS races for Porsche. The Italian took the familiar blue and white Cayman GT4 Clubsport MR entered by longtime Porsche customer Muehlner to the top of Friday’s practice sheets. In both races, the mid-engine road-car based machine finished second to the Chevrolet Camaro race car of Lawson Aschenbach. In addition to Hargrove’s No. 96 in GT, Pfaff also entered the GTS class with Orey Fidani (Canada) in the No. 13 Porsche Cayman GT4 Clubsport MR. The rookie racer finished 15th in class in both races. The Pirelli World Challenge travels to Circuit of the Americas (COTA) in Austin, Texas for the first two rounds of the SprintX Championship. The ten-race ‘championship within a championship’ features the same cars, but a two-driver format with a required pit stop and 60-minute races. The COTA rounds will take place on March 24 and 25. Scott Hargrove, Driver, No. 96 Pfaff Motorsports Porsche 911 GT3 R.